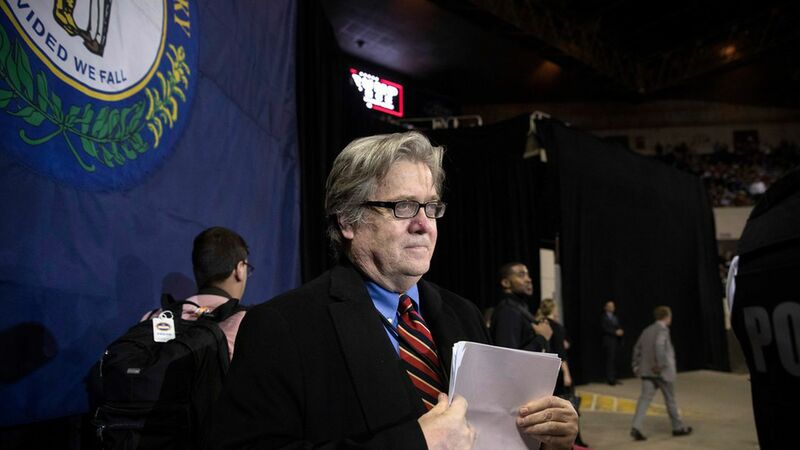 Former Chief Strategist Steve Bannon will be traveling to Hong Kong next week to speak at an investor conference and "call for a much tougher American policy toward China," according to the New York Times. Bannon reportedly believes "he can make a difference" with former boss President Trump on China policy, due to what he believes is a lack of leadership on the issue. China believes they will be the next "hegemonic power," according to Bannon, so "we have to reassert ourselves as the real Asian power: economically, militarily, culturally, politically." The firm that invited Bannon, CLSA, is owned by Citic Securities, a politically connected Chinese investment bank.